SMU is a beautiful campus with tree lined streets, wide open spaces, state of the art facilities, a lot of school spirit (think Friday night lights) and even a presidential library. This is a big campus serving over 6,000 undergraduates that represent all 50 states and several foreign countries. In fact, over 50% of all undergraduates are out of state residents. 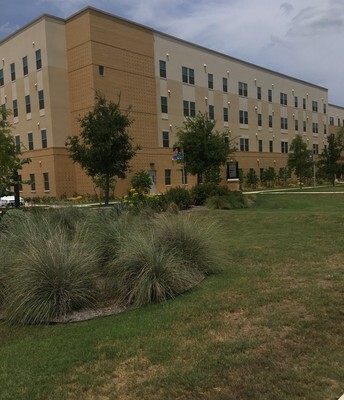 The campus is near the Dallas Forth Worth airport which makes commuting to New York easy. The proximity to downtown Dallas is ideal and allows student participation in a wide variety of social and cultural experiences. However, it is the partnership between the city and the college that really elevates this institution. Last year SMU and the local community supported over 4,400 internship and experiential learning opportunities - there truly was a career experience for everyone. Dallas was listed by Forbes as the #6 city for business. It is becoming a financial hub for the country and this is the reason they have a strong business program and job placement. 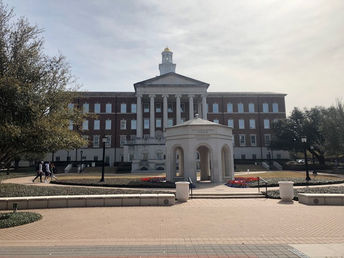 In fact, SMU is ranked in the top 10% of all US universities and colleges by the Wall Street Journal. SMU also boasts a strong arts and writing program. They have two Pulitzer Prize winners and several entertainers are counted as alumni including: Aaron Spelling, Patricia Richardson, Kathy Bates and so many more. 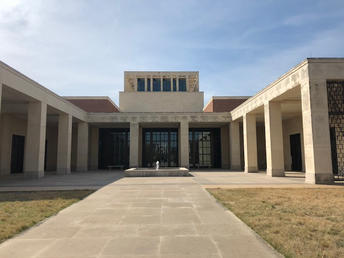 The SMU Meadows School for the Arts provides students with access to eminent visiting professors, artists and the winners of the Meadows Prize, an arts residency awarded annually to up to two pioneering artists and creative professionals active in one of the Meadows School’s disciplines. Winners of the Meadows Prize have included a Grammy-winning ensemble, a Tony-winning playwright and screenwriter, and the Public Theater’s director of public works. SMU is test optional and has an acceptance rate of about 50%. Current costs are about $76,786 per year. 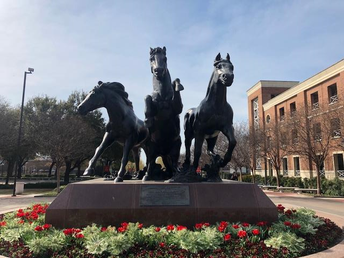 The SMU Mustangs - "World Changers Are Shaped Here"
You are not on campus long before you recognize the enormity of this school. Yet, as big and busy as this campus is it was absolutely beautiful. There were giant oak trees and friendly students who were so happy to recommend the best sandwich shop for college students (Snarfs if you happen to visit). They say everything is bigger in Texas and this tour proves it. 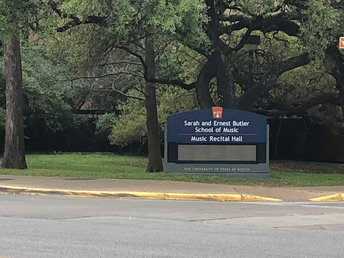 The University of Texas at Austin is the 8th largest single campus in the US with an enrollment of over 50,000 undergraduate and graduate students. They boast several museums and libraries and it is an accomplished research institution. Unlike SMU, the vast majority of undergraduate students reside in Texas (almost 90%). They do, however, have students from all over the country and several international students. They have a robust freshmen program that provides support for its newest members. As you tour campus, it is clear that this college is a powerhouse. They are especially known for research, business and the arts. 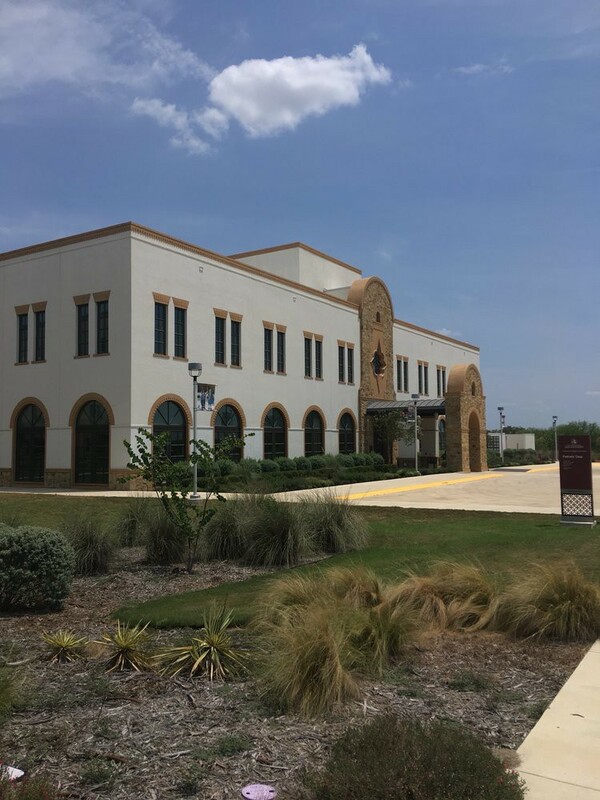 Their science program is top notch having earned awards in petroleum engineering, chemical engeineering, civil engineering, environmental health engineering, and engineering (all in the top 10 according to US News and World Report). 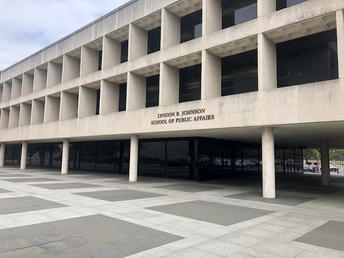 The good news continues and many other schools are also award winning including the school of business, college of communication and education which are also ranked in the top 10 nationally. The Austin area is vibrant area with many social and cultural opportunities on and off campus. A little unique to this campus are the tuition costs. The cost varies slightly between the different schools. The engineering program charges $20,510 for tuition. 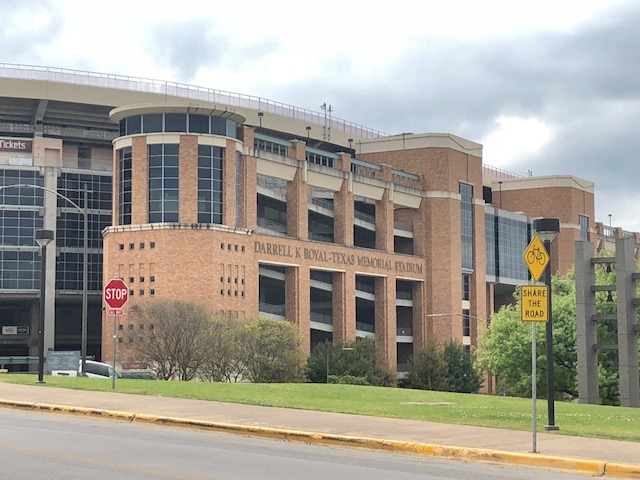 The Texas Longhorns play in Division 1 and they are a member of the big 12. This photo is of one of several athletic facilities. Despite the size of this campus it is well maintained and beautiful! 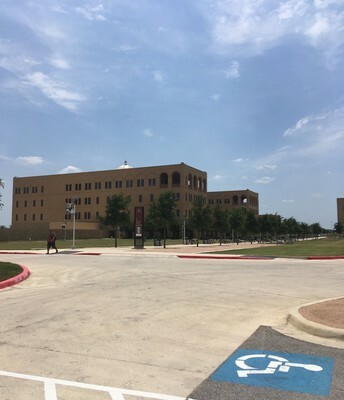 This is a satellite school for Texas A&M and there are so many features that make this campus unique. 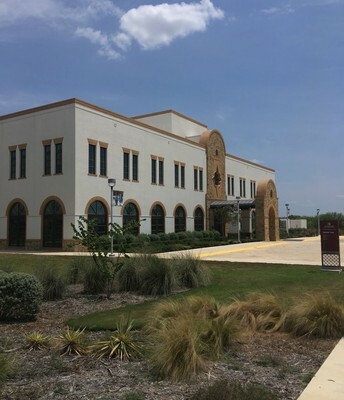 It is a newer campus that is experiencing rapid growth. In fact, student enrollment increased by 62% a few years after the campus opened. 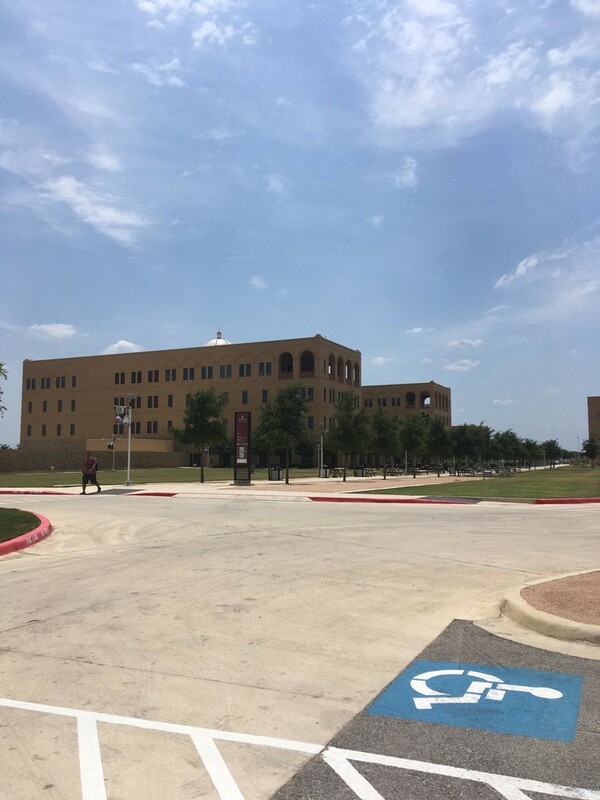 The campus is small, but they do own 694 acres and there are plans to expand buildings, programs and services as the student population continues to grow. 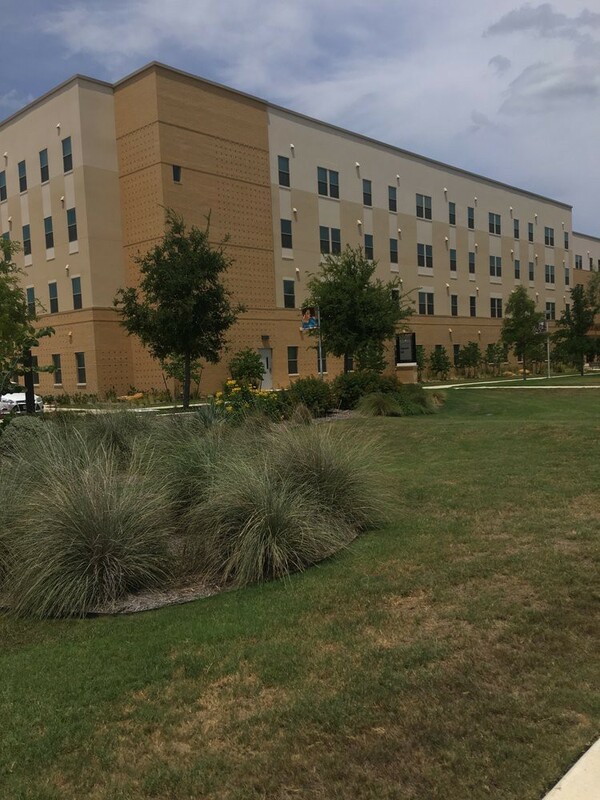 Freshmen are required to live on campus, but upperclassmen are able to live off campus. This college is very affordable with the average cost of attendance about $8,216. The city of San Antonio also has an airport and a vibrant downtown area with a River Walk and multiple restaurants.